Is Stansberry Research a company that you should be avoiding? Will you just get scammed if you buy into one of their publications? Or is this a place you can trust and get good quality investment advice from? The question of whether or not Stansberry Research is a scam is something I have been seeing a lot of lately, which is the point of me writing this review. There are quite a bit of complaints about this company but does it really warrant such an accusation? In this review I’ll go over what Stansberry Research is and break everything down for you so that you can get a better understanding of whats going on here. Stansberry Research is a company created by Porter Stansberry that provides investment advice to individuals. It is particularly focused on helping individuals with small to medium amounts of money invest in safe and moderate risk assets. Basically what this company consists of is analysts and editors that work together to provide infomation on different investment opportunities. They have free products/services as well as paid products/services that do. In addition to these they also have different model portfolio services you can use that takes investment information from the various products that are published here and compiles it into one. This is why I usually don’t pay much attention to the BBB’s rating. It doesn’t seem to fit the big picture much. 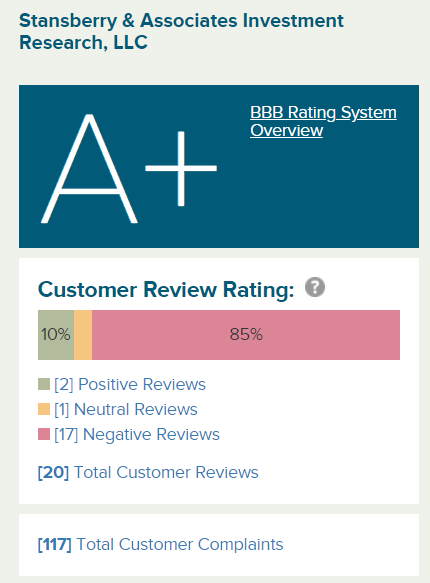 However, I do like looking at ratings on the BBB’s website from customers. This is where you find lots of good complaints so you can really get a look into the company and see the bad sides. Where Are All These Complaints Coming From? It seems that most of the complaints are coming from people buying “The American Jubilee” which is a book that plays into the fears of many Americans out there. 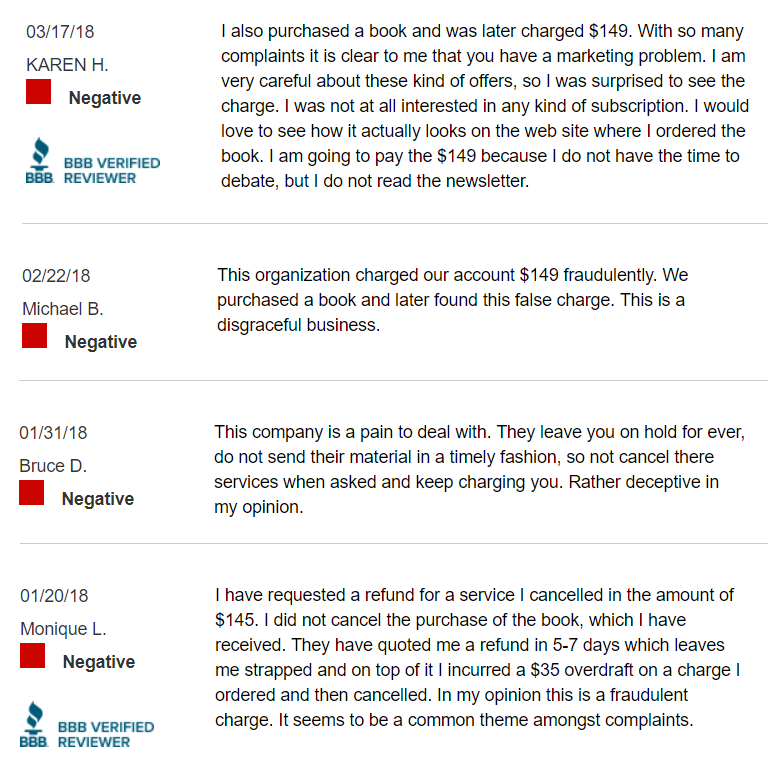 But I’m not here to review this book or give my opinion on it… I’m just here to talk about whats going on with it and why so many people are calling it a scam. You see, the book itself is not a scam. Is it true? Well that is up to the reader to determine but whether it is or not doesn’t make it a scam. The reason why people are calling The American Jubilee a scam is because of the ridiculous marketing tactics used when selling this book. What they do is get people to buy the book and then attach another charge that many people are unaware of. Its the Investment Advisory that really screws people. The 5 research reports are free but the Stansberry’s Investment Advisory is not. What happens when you purchase the book is you automatically get enrolled in a trial subscription for the Investment Advisory and when the trial runs out you get charged automatically for a whole year. What you have to realize is that Stansberry Research has many different products and just because you might not like one of them doesn’t mean that all of them are bad. There is no doubt that what the way they are marketing The American Jubilee book is wrong. It is deceptive and it really screws a lot of people over. But what about the investment newsletters that have nothing to do with this book at all? Most of the products/services that Stansberry Research have nothing to do with anything in this book nor do they have to do with the Author, which is Mr Porter himself. Take the True Wealth newsletter for example: This newsletter is edited by Steve Sjaggerud and it seems to be very well put together and provides good advice. I actually wrote a separate review of this newsletter and there really isn’t anything bad to say about it. Steve provides sound investment advice in his monthly issues and people seem to be happy with it all, which is why you will see some subscribers that have been with it for years. So on one hand you have a product that seems to receive more complaints than positive reviews and on the other hand you have a product that doesn’t really get any negative reviews. I do not consider Stansberry Research to be a scam at all. Does this company use “shady” marketing tactics to promote products? Yes they do… without a doubt. Not only do they sucker people into buying the subscription service as I mentioned above with The American Jubilee book, but they also make use of somewhat misleading promotional tactics to lure people into subscribing to different newsletters. 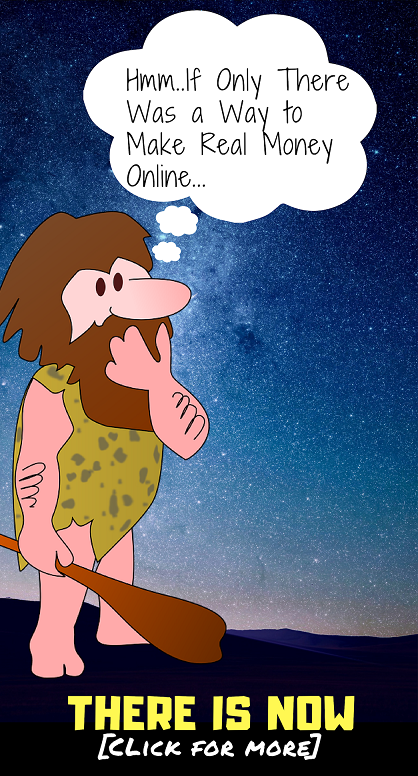 This is something that has become more and more common place in the investment advisory world. I have reviewed many of Agora Financial‘s investment newsletter products, such as True Momentum & Real Wealth Strategist, and they do the same darn thing, only they do it to and even higher extent. Much of the problems that this company seems to be creating for itself seem to be stemming from Porter Stansberry himself. He is the one behind much of the rather deceptive marketing practices that people really hate. Thanks for this reviews. This helped a lot !